The best of global creativity, all on one stage. Wednesday 27 February to Friday 1 March 2013. Ticket sales are now open. Design Indaba Conference 2013 takes place from Wednesday 27 February to Friday 1 March 2013 at the Cape Town International Convention Centre. A live Simulcast is hosted at the same time at various venues around Southern Africa. Over 30 local and international speakers under one roof. Three days of inspiration and design overload to get your creative juices flowing. The speakers are masters of their industries and disciplines, with knowledge that you will not find on the internet or in a book. 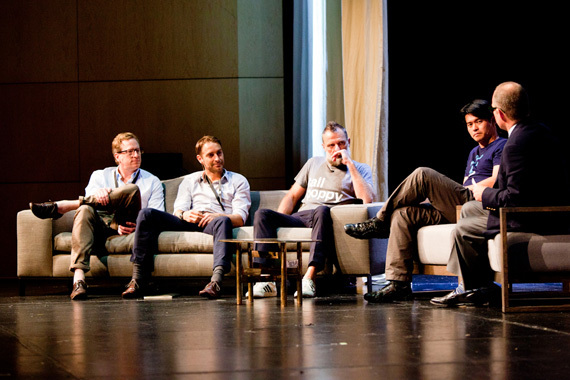 Everything at Design Indaba Conference has cross-disciplinary application possibilities. 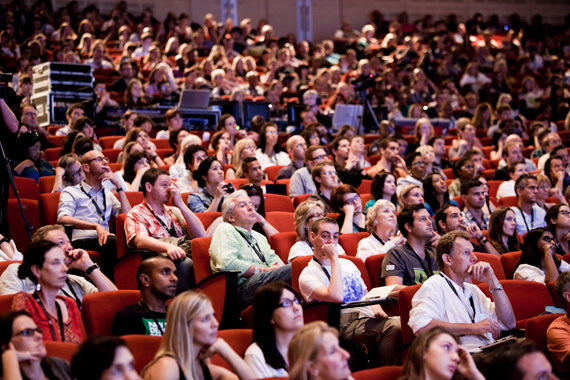 Design Indaba Conference attracts business people, designers, creatives and educators, making it the ideal event at which to network and meet like-minded individuals. Delegates who attend come from far and wide with as much as 20% of the audience from abroad. This highlights Design Indaba’s influence in the international creative community. It is a one-of-a-kind conference in South Africa and renowned globally for the value it adds to the design industry both locally and abroad. Watch this space for regular speaker announcements or subscribe to our weekly newsletter. Registration is at the CTICC on Tuesday, from 14:00 to 19:00. Your conference pass includes access to one paid event on the Music Circuit and a guest pass to the Expo. Your conference accreditation gets you into the Expo on Friday and at the sneak preview over the extended lunchbreak on Thursday, so please reserve your Expo guest pass for Saturday or Sunday. During the Conference, late registration will be open on Wednesday from 07:00 to 18:00; Thursday from 07:00 to 17:00; and Friday from 07:00 to 10:00. Registration for the Young Designers Simulcast - in all four cities - happens between 07:30 and 09:00, at the YDS venue. Click here for venue information. Welcome address at 09:00. Speaker schedule below. We look forward to welcoming renowned graphic designer Paula Scher on to the stage at Design Indaba Conference 2013. We look forward to welcoming Martí Guixé as a speaker to Design Indaba Conference 2013. We celebrate the work of German illustrator Christoph Niemann. Nelly Ben Hayoun presents her new film, The International Space Orchestra.